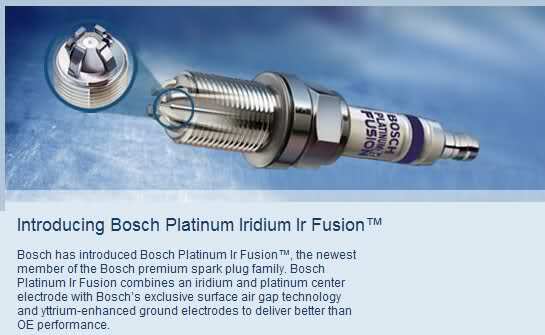 Bosch Aerotwin available in all sizes for most cars. Frameless wiper that provide ultimate wiping performance, giving you the maximum safety against heavy rainfall where it is experienced in our country. Its bracketless construction with even distribution of the force combined with Bosch Twin Rubber Technology provides a 20% improvement in service life compared to conventional wiper blades. Most importantly it operate quietly and smoothly. We provide installation upon purchase at $50/pair. Pls feel free to contact us at 96359333 / 94301200 or email us at yourcaressential@gmail.com. Selamat Hari Raya Haji to all Muslim frens! Our wiper size is 14" and 26". For spark plug I not too sure. was shopping around at Serangoon gardens and specifically asked for bosch, the owner said $20/piece .. I was like wow.. ok get it done.. later he took out some unknown brand... and I was like WTF.. where is the bosch.. then owner said $80 for bosch.. !!! And best part was some tiong kok said the wiper length was 16 26... wth! thats being said, YCE, where to get your wipers?? then u fix yr wiper liao? 80 dollars? si bei good deal. haha. you can whatsapp him @ "96359333 / 94301200 or email us at yourcaressential@gmail.com." NO LAH! Siao bo.. I saw it was $50 here..
so when he mentioend 20/pc its good deal.. until he took out the MIC wiper. then I said no thank you! dustymaska wrote: NO LAH! Siao bo.. I saw it was $50 here..
so when he mentioend 20/pc its good deal.. until he took out the MIC wiper WHEN I asked for Bosch. then I said no thank you! just give him a msg or call. he is a nice chap. dustymaska wrote: thats being said, YCE, where to get your wipers?? Hi dustymaska, we operate at either Hougang Green or Punggol Central, $50 a pair with installation provided. In addition we have sizes for other cars. Which year is ur ride? For elantra as per mentioned by terry_gerrard, the wiper size is 14" 26"
Elantra 2011 dunno what is model of the spark plug lo. The manual nvr indicate and bonnet also nvr put. Must take out and see. 2) Wipers are sold at 50/pair and Bosch Fusion is sold at 60/set. 3) Currently I am still talking with my supplier w.r.t the suitable spark plug size for Elantra. Currently we imported 7DQ as it is more popular and its heat range is more suitable for the cars used in the tropical climate. 4) If the spark plug is another model, I will be organising a mass order for Elantra specially. This will be discussed when I have the answer in a 1/2 days time I promise. LAstly, as the rainy season approaches, please spare a thought for the safety of your daily journey with a brand new pair of durable Bosch Aerotwin. I dun earn commission de. Therefore bro yce has clarify. By the way what is the heat range? I want the plug. Bosch IR FUSHION @$60sing per set 4pcs right. Where to deal and when collection. Wow if got GB, count me in. So bro sky , you want to buy a set for every item ? I dont use wiper during rain coz i apply rain acts on my wind screen. Wiper make me feel sick. lydiachristopher wrote: So bro sky , you want to buy a set for every item ? Off topic abit, you use Rain Acts or Rain X? 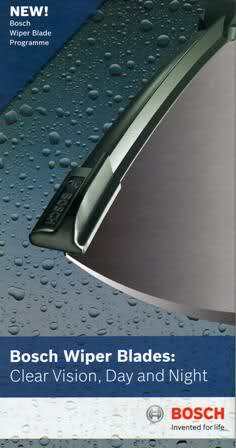 I previously use Rain Acts, therefore my wiper now cui.. if i got money, i would buy this wiper too. lydiachristopher bro, if you using permanon, avoid mixing permanon with ra**X. i try to avoid naming other brands but ra**x is well known to create judder problems after a while. will cause your wiper to chui also. if you lazy to strip off ra**x, avoid applying permanon on areas where you have applied ra**x. but best alternative is to strip it off to avoid long run damage. you can do so either via lighter fluid or a window cleaner with alcohol/abrasives. You have a weird problem there.. mine mixed with rainact but dont have any blurrish effect.. If in that case, i think its the rain act, previously using it, the whole windscreen was so blur, cant even see.. even i wipe it till crystal clear also no use... until i use permanon, it help alot..
Thx bro beacon for your info. Bro Calvin, hows the spark plug status? Think no need to find bosch ald. Patience is a virtue..Hehe pls give us some time bcoz Elantra is a new model on the road.